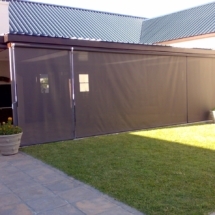 Gear operated drop blind using open weave fabric is best suited to protecting from UV sun rays and wind. 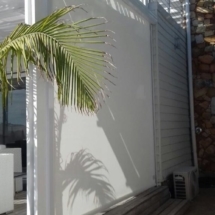 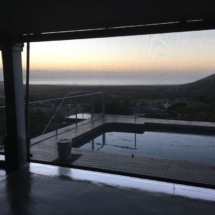 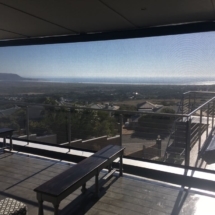 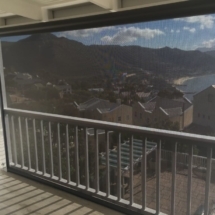 Open weave drop blinds are an effective way to block out the sun and the wind to create a comfortable outdoor area. 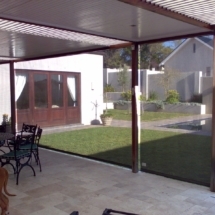 By using our quality open weave fabric by Sunworker by Dickson Solar protection and Soltus 86 made by Serge Ferrari. 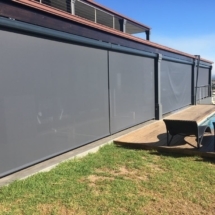 We rely on these fabrics because of their durability and excellent colour fast properties and exceptional tear resistance.